Now more than ever, governments are striving to mobilise greater tax revenue domestically. To do so, they are increasingly reaching out to inform and engage today’s – and future – taxpayers. They aim to foster an overall “culture of compliance” based on rights and responsibilities, in which citizens see paying taxes as an integral aspect of their relationship with their government. Taxpayer education is the bridge linking tax administration and citizens and a key tool to transform tax culture. Covering innovative strategies in 28 countries, this publication offers ideas and inspiration for taxpayer education, literacy and outreach. It helps revenue authorities in developing countries to strengthen the tax morale and tax compliance of their citizens. 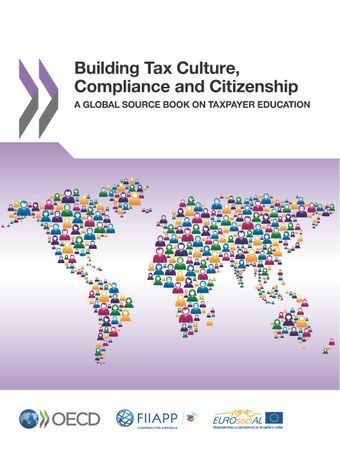 28 July 2015 - OECD and FIIAPP launch Building Tax Culture, Compliance and Citizenship. A Global Source Book on Taxpayer Education at International Workshop on Taxpayer Education in La Paz, Bolivia.